An all-new DC Animated movie, Justice League Vs The Fatal Five is coming and it looks really good. The movie sees Kevin Conroy, Susan Eisenberg and George Newbern back as the animated versions of Batman, Wonder Woman and Superman. Justice League vs. 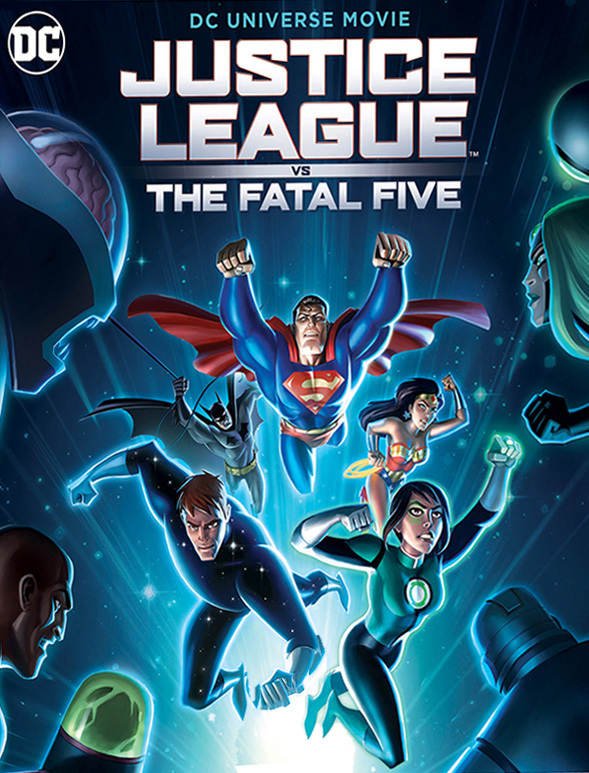 The Fatal Five features the voices talents of Kevin Conroy as Batman, Susan Eisenberg as Wonder Woman, George Newbern as Superman, Diane Guerrero as Jessica Cruz/Green Lantern, Gabel as Thomas Kallor/Star Boy, Peter Jessop as Thorak, Tom Kenny as Bloodsport, Matthew Yang King as The Persuader, Sumalee Montano as Emerald Empress, Philip Anthony Rodriguez as Mano, Daniela Bobadilla as Miss Martian, Kevin Michael Richardson as Mr. Terrific, Noel Fisher as Brainiac 5, and Tara Strong as Saturn Girl. Justice League vs. The Fatal Five is expected to be available on Digital starting March 30, 2019, and 4K Ultra HD & Blu-ray on April 16, 2019.